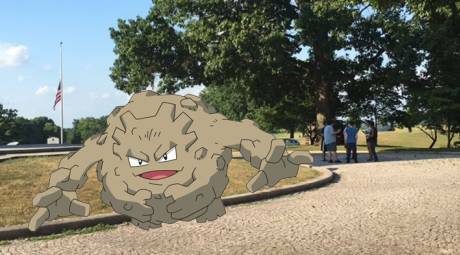 The Pokémon Go craze has taken over Valley Forge Park! 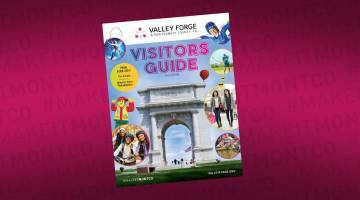 Whether you're still hesitating to hop on this phenomenon or unsure as to where to start, the tourism team at the Valley Forge Tourism & Convention Board is here to help. 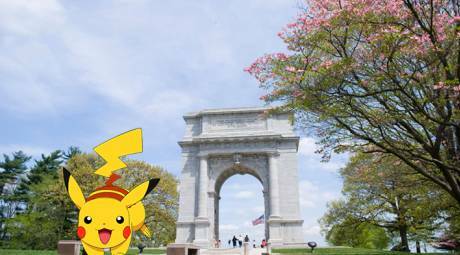 The team has put together a quick sample itinerary of the Valley Forge Park to help groups hunt for these elusive Pokémon. Walk the Joseph Plumb Martin Trail from the Visitor Center to the National Memorial Arch. The distance is about a mile, and the path alone has three Gyms and numerous Pokéstops. The trail is lined with a lot of history and lovely scenery, so be sure to look up and experience reality too. Following the trail cuts through Wayne&apos;s Woods, but I recommend taking a brief detour on the road to the Wayne Statue-you may drive or walk, but the sidewalk does disappear for a bit. There are quite a few Pokéstops along the road to the Wayne Statue, as well as a Gym. After a large bend in the road you&apos;ll catch back up to the J.P. Martin Trail. As you near Artillery Park, you have two choices: keep to the J.P.M. Trail or follow the historic trace, which is a portion of the route General Washington&apos;s troops marched. Pretty cool, eh? Choose the historic trace for the Pokéstops and historical markers, or try the trail for a few Gyms if that better suits your Trainer needs. The historic trace converges with the trail after about a mile, and you&apos;ll arrive at Varnum&apos;s Quarters to an abundance of Pokéstops. From there, you&apos;ll reach the Washington Memorial Chapel. It is perhaps the most concentrated hotspot here for Pokémon Go with four Gyms and over 10 Pokéstops. Be the very best in terms of behavior, as you will be on church property. The Patriots of African Descent Monument is your last Pokéstop before completing the loop at the Visitor Center. If your journey is on foot, this is a great opportunity to hatch eggs and appreciate the fresh air. Your phone will still alert you to Pokémon if you glance away, I promise.